Rich, earthy, spicy-herbaceous, sensual mood enhancer. Patchouli is known to be Anti-inflammatory, Antiseptic, and Astringent and may act as a mild antidepressant or sedative. 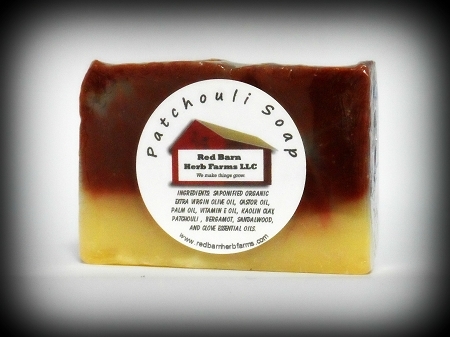 Patchouli is often used to sharpen focus and concentration. Some believe use of patchouli can provide insight, explaining the use of patchouli in soap, incense and oils for many centuries. Contains: Saponified Organic Olive, Palm Kernel and Castor Oils, Kaolin Clay, Mineral Colorant, Organic Patchouli, Bergamot, Sandalwood & Clove Essential Oils, Vitamin E Oil.